Spain Reaches an agreement with EU and UK on status Gibraltar after Brexit. Spain, the rest of the EU and the UK have reached an agreement on Saturday on the status of the British territory of Gibraltar after the Brexit. That issue threatened to disrupt the Brexit summit that will take place on Sunday. 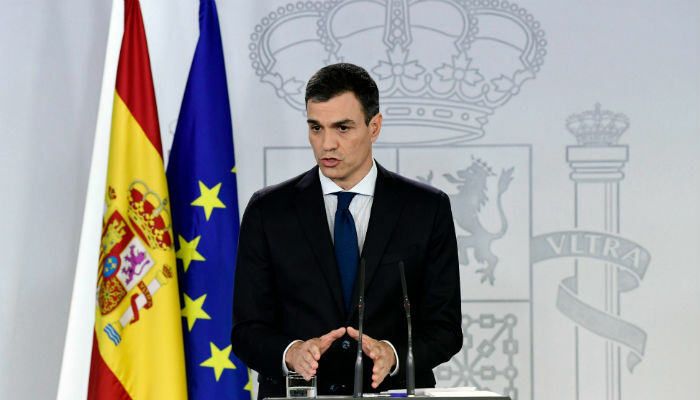 The Spanish Prime Minister Pedro Sanchez confirmed Saturday afternoon that telephone discussions between Madrid, Brussels and London led to an agreement. will always involve Madrid, according to Sanchez. The agreement came about thanks to British guarantees in that area. The UK has vowed not to interpret the exit agreement as a promise from the EU to automatically involve Gibraltar in negotiations on future trade relations. An overwhelming majority of the population of the peninsula wants to remain British. but Sanchez did not threaten to do so because of the Gibraltar issue. which the country in 1704 had to cede after an invasion by a British-Dutch army. That has now arranged. Also expected that the Brexit agreement will be approved on Sunday. the EU27 have passed the test of unity and solidarity,” EC President Tusk wrote in a statement on Saturday. Prior this week, it became known that the European Commission and the United Kingdom agreed on the political statement on the future relationship with the UK after Brexit. For example, this statement includes topics such as trade directives and safety. If the UK and the other EU member states sign the agreement in principle on Sunday, the Brexit is not complete yet. Premier May must first pass the agreements through the British Parliament. Its minority cabinet has a weak political position due to the necessary tolerated support of the primal conservative Northern Irish Democratic Unionist Party (DUP). He has shown that he does not acknowledge with the agreements on Northern Ireland in the deal. Also within the Prime Minister’s own Conservative Party, there is division over the Brexit deal. Proponents of a ‘hard’ Brexit try to saw the legs of party leader May. For the time being, those efforts have remained unsuccessful. Former Minister of Foreign Affairs and party promoter Boris Johnson urged May Saturday to deduct 34 billion pounds of planned UK payments to the EU.